It seems like anything you read a review on has at least one reviewer for whom the product seemingly exploded in his face (i.e., his hatred and disgust for the product could not be worse) and at least one reviewer for whom the product changed their life forever and now they feel complete. Obviously the truth lies far between those extreme positions. The real questions about the quality of anything are "Does it achieve what it sets out to achieve, or does it do what it claims to do?" And, "At what price?" 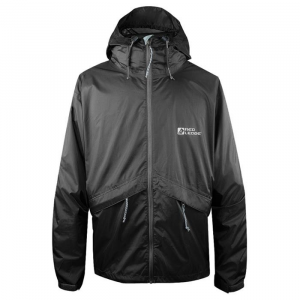 The RL Thunderlight jacket claims to offer breathable rain protection at a low price. This jacket is also marketed at Bass Pro Shop under the brand name "Red Head", and possibly under other names as well elsewhere. 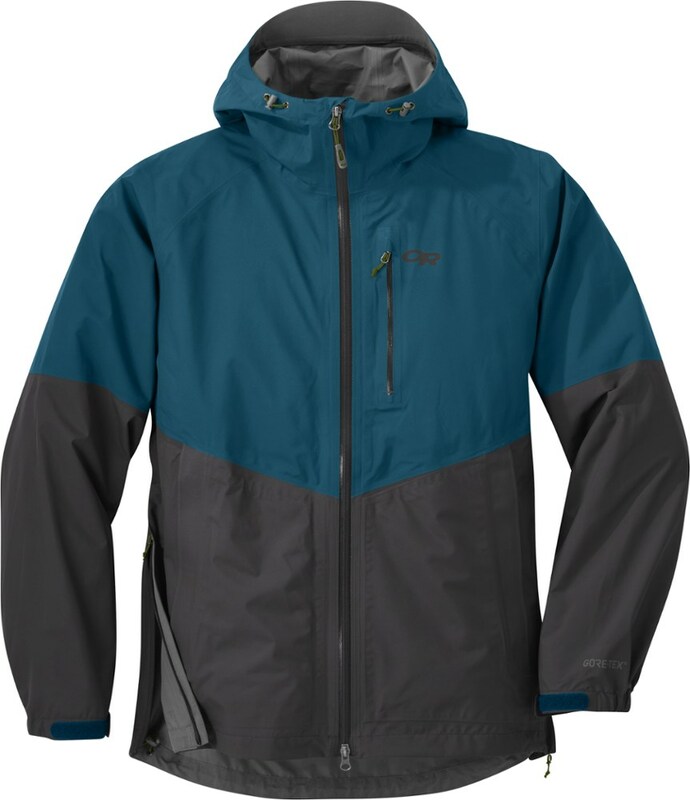 I bought one about a year ago, looking for a very lightweight rain jacket to use on backpacking trips. I compared it closely to the Frog Toggs rain jacket, which cost a bit more and (at that time) could only be purchased as part of a jacket-and-pants suit. My criteria were light weight, breathability, durability, and low cost. I cannot imagine how any jacket could do a better job of meeting all these objectives. A lot of expensive parkas are way-overkill and as such are HEAVY. This jacket is called "ThunderLIGHT" and it is very light, and very pack-able. It comes with a stuff sack and when it's in the sack, it is only slightly bigger than a soda can. I chose the Thunderlight over the Frog Toggs jacket because I perceived that it would have better snag-resistance. The Frog Togg has a somewhat fuzzy feel which I felt would be a magnet for prickly vegetation and briars, etc. The Thunderlight on the other hand has a slick, crackly polished nylon finish, which is resistant to those prickly snags out there. It just seems to slip and slide past nearly everything. If you need a parka for mountaineering or snowmobiling or other extremely cold and/or abrasive activities, then buy a heavy fabric parka that is lined - and don't blame this jacket for not being something it was never designed or intended to be. The Thunderlight Parka is designed for warm weather rain protection, or as a lightweight waterproof shell to be worn over other insulating layers. Sometimes I wear it over my puffy down jacket for messy winter days in town or on the trail, and the two combined make for a very lightweight, warm, and dry combination. 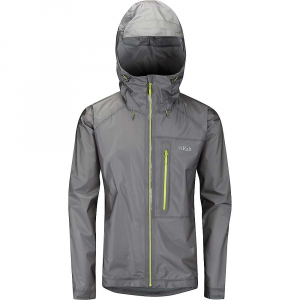 It is totally waterproof, and as comfortable as any jacket can be in warm wet weather. In summary, the Thunderlight offers excellent bang for the buck. I love mine, and when I wear it out, I'll buy another one. I see them in more and more retail outlets now. Apparently they are selling well and word is getting out about the value of this jacket. I was looking for a rain jacket but didn't want to pay three figures, especially living in SoCal where rain is usually not an issue. On a forum someone recommended this jacket as a cheap but solid and man were they right! It's lightweight and the seams are sealed. I recently wore this as it rained all day in Yosemite and it kept me and my clothes dry. It's not insulated, but layering will help on any chilly days. Truly a great value for such a small price tag. So my supposedly water resistant softshell wetted through almost immediately in a wet spring snowstorm while skiing. 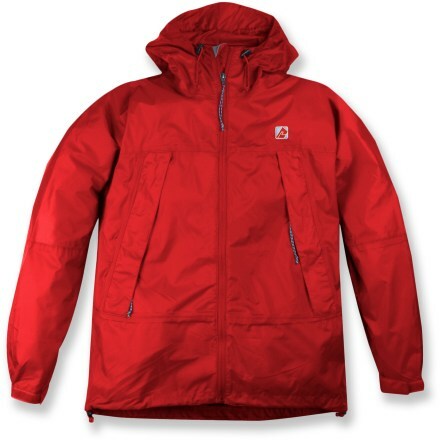 I pull out the Red Ledge jacket and throw it over my layers and, viola, no more moisture seeping in. Every drop beaded up and a quick shake made it disappear. It was breathable enough that the soft shell dried out about 50% while I skied. The snow was merciless; I couldn't see 100 yards and I cinched up the hood over my softshell hood and only had my nose and goggles exposed as I skied. The jacket near my face was damp inside of course but the back vent and pocket vents seemed to help it breathe a lot. I am 5-10 220# and the XL fit over my other layers like it should. The large fit over a fleece but would not layer over a puffy or softshell like I want. This jacket packs down to the size of an insulated coffee mug (comes with a stuff sack even though the left pocket fits it too). 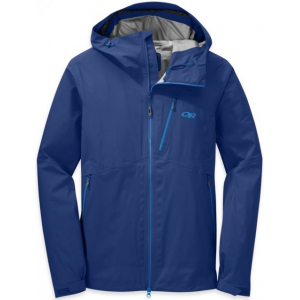 It has almost identical material to the Goretex ultra light stuff and all the features of any major brand. It cinched down where I wanted it to and made me glad to own it. I got it on super clearance for fourteen bucks so, why not? In the summer of 2004 I took this jacket on a backpacking trip to Ireland, and I was extremely disappointed. I found the jacket to be completely useless in the rain. Perhaps I just happened to get a bad one from the store, but it turned out that this material, TH-4 or not, was completely saturated by water each and every time it made contact with rain. When I returned home, I decided to run the sleeve under the faucet (something I should have tried before I left) and determined that in fact the water was leaking right through. I was not wearing the jacket during the test, so I know it was not sweat condensation on the inside. All in all, this jacket is quite windproof, which is appreciated, but it failed to perform its one required duty -- to keep me dry in the rain. The PANTS, however, were fantastic and consistently kept my legs dry and comfy. 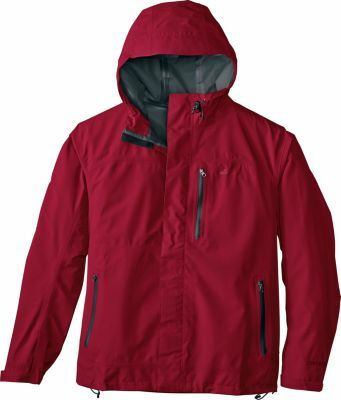 Positives: This jacket is getting favorable reviews because it delivers what it promises: lightweight, breathable protection from rain. The fit is good and styling is nice. 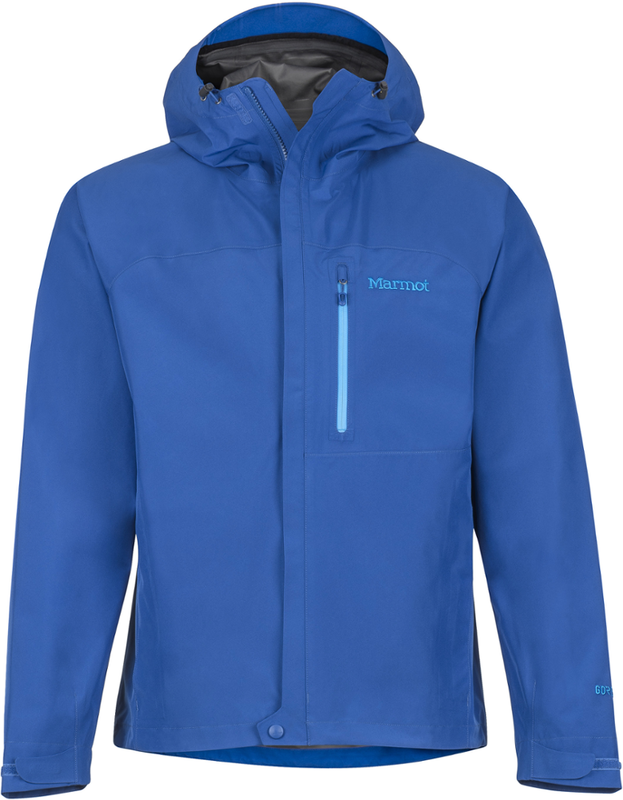 According to others I've talked with, the jacket has delivered years of good service and is backed by a good warranty. Negatives: The hood should have a visor and the neck zipper -- though acceptable -- could be made a little nicer. Although the ripstop shell is by no means flimsy, I would have preferred a heavier shell to protect against more abrasive use. Overall: definitely worth the money and well suited for most casual-use hikers, and a nicer jacket than the Marmot Precip, which costs more. I took this rain jacket on our hike this week on the Old Loggers Path in north-central Pennsylvania's mountains and Tuesday morning it finally rained so I had the opportunity to put the Thunderlight Jacket to the test. I would say this is an decent rain jacket for the price I paid through Campmor and it keeps the rain off (thanks to the TH-4 waterproof/breathable coating) but I still managed to get wet from body moisture from the inside, in spite of opening the chest vents. I would give ventilation mixed reviews, but of course this is the first time I used this particular rain jacket. I will continue to test this jacket on future hikes so there will be another review sometime in the near future! As I promised here is another review. I got to use this particular rain jacket on many hikes and overnight backpack trips and the things performed wonderfully. I truly appreciate the lightness, packability, and waterproofness of the Thunderlight. Plus it is fairly "breathable." I even used it last year while working at Devil's Lake State Park in Wisconsin. Kept me dry and very comfortable in all the hard, cold rains we had there, I'm happy to report. This year the jacket is starting to shew some "wear and tear." The TH-4 coating is starting to peel off and the hot tape on the seams are starting to tear away. I called Campmor yesterday (where I purchased it from) and they are going to exchange it for one of their house brand Storm Sphere Parkas, which is ok with me. After all I never purchase BIG name brand gear anyhow. Personally I avoid the stuff. So the Campmor brand is more than acceptable seeing it is very similar. Very good deal for the money. It is very breathable, but keeps the rain off well. The Red Ledge Thunderlight Parka is not available from the stores we monitor. It was last seen August 24, 2016	at Ramsey Outdoor.